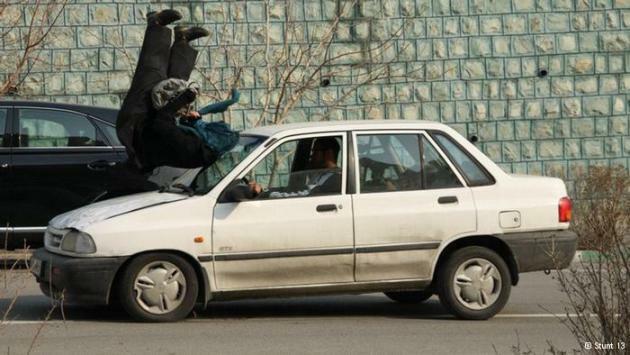 She fights, she drives cars at breakneck speed, she jumps out of planes and helicopters … these are just a few of the talents of Mahsa Ahmadi, the best stunt woman in Iran. Award-winners: in 2013, the international stunt crew of 100 men and 4 women won the American Screen Actors Guild Award for the best stunt group in a feature film. For Ahmadi, the breakneck car chases and furious scenes in “Skyfall” were a “unique experience”. This entry was posted in Uncategorized and tagged Awards, Cinema, Film, Movies, women. Bookmark the permalink.